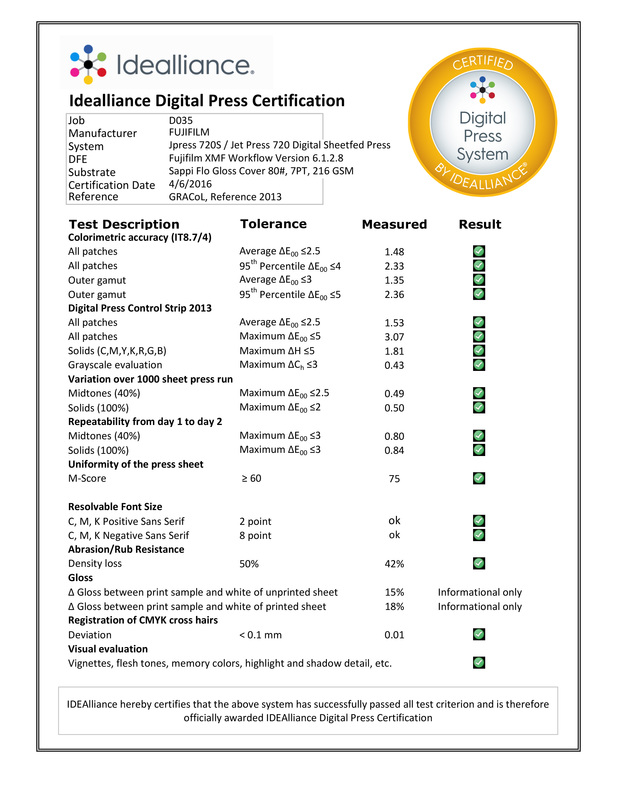 Check out the summary report of the unmatched results the Fujifilm J Press 720S received to qualify for Idealliance Certification. There is no other digital or offset press that has ever achieved these numbers. This is a test of the newsletter.